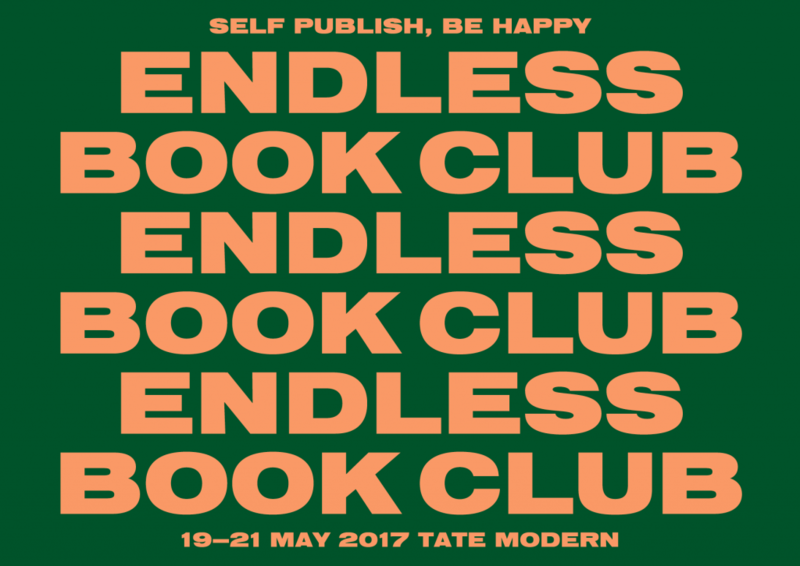 Self Publish, Be Happy is excited to present Endless Book Club at Tate Modern from Friday 19th to Sunday 21st May during Offprint London. We will hold three days of public programming in conjunction with local book clubs and other organisations: from the Feminist Library, to the Institute of Psychoanalysis, to Hands Off our Revolution and beyond. Endless Book Club is a large and socially diverse literary conversation, an open forum for the exchange of ideas, and a participatory performance for visitors and book-lovers alike in a welcoming arena setting. Endless Book Club is a collaboration between Self Publish, Be Happy and Tate, on the occasion of Offprint London, which is supported by LUMA Foundation.